WASHINGTON/JAKARTA (Reuters) - A U.S. lawmaker on Friday urged current or former Boeing Co and Federal Aviation Administration (FAA) employees to come forward with any information about the certification programme for the 737 MAX, which has suffered two fatal crashes in five months. Boeing and the FAA are under global regulatory scrutiny over software and training on the signature aircraft. 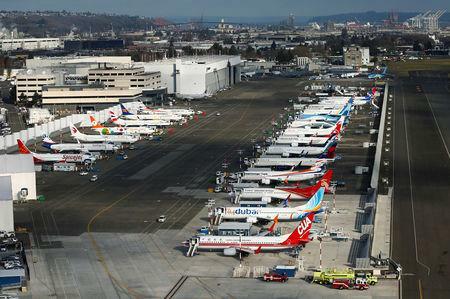 Boeing risked losing a $6 billion order for the jet on Friday, its first since the world's entire fleet was grounded last week. Indonesian airline Garuda said it plans to scrap its order because some passengers are afraid to board the plane, although industry analysts said the deal was already in doubt. In the United States, the chairman of the U.S. House Transportation and Infrastructure Committee Peter DeFazio urged people to use the committee's whistleblower web page. "It is imperative we continue to ensure we have the highest level of safety for the travelling public," DeFazio said. American Airlines pilots were preparing to test Boeing's planned software upgrade for an anti-stall system on MAX simulators this weekend, saying they want their own safety guarantees on the software fix. 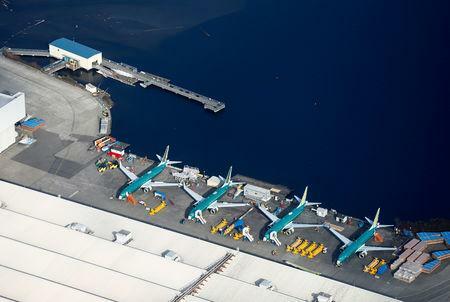 The 737 MAX was Boeing's fastest selling jet before an Ethiopian Airlines crash near Addis Ababa on March 10, which followed a Lion Air crash in Indonesia on Oct. 29. Ethiopian and French investigators have pointed to "clear similarities" between the two crashes, which killed 346 people, putting pressure on Boeing and U.S. regulators to come up with an adequate fix. No direct link has been proven between the crashes but attention has focussed on whether pilots had the correct information about the "angle of attack" at which the wing slices through the air. Ethiopia has shared limited information with foreign investigators, Reuters reported on Thursday, and an industry source said Boeing had not yet received any black box and voice recorder data. Meanwhile, U.S. Senator Richard Blumenthal, a Democrat, on Friday raised concerns in a letter to the FAA about regulations that allow aircraft manufacturers to effectively self-certify the safety of their planes and "left the fox guarding the henhouse." The U.S. Justice Department opened a separate investigation this week. The FBI has declined comment. Garuda CEO Ari Askhara told Reuters on Friday: "Many passengers told us they were afraid to get on a MAX 8." However, the airline had been reconsidering its order for 49 of the narrowbody jets before the Ethiopian crash, including potentially swapping some for widebody Boeing models. Southeast Asia faces a glut of narrowbody aircraft like the 737 MAX and rival Airbus A320neo at a time of slowing global economic growth and high fuel costs. "They have been re-looking at their fleet plan anyway so this is an opportunity to make some changes that otherwise may be difficult to do," CAPA Centre for Aviation Chief Analyst Brendan Sobie said. 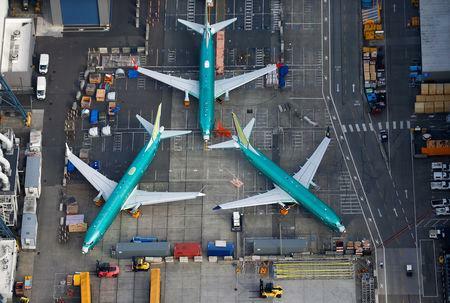 Indonesia's Lion Air has also said it might cancel 737 MAX aircraft, though industry sources say it is also struggling to absorb the number of planes on order. Boeing now plans to make compulsory a light to alert pilots when sensor readings of the angle of attack do not match - meaning at least one must be wrong -, according to two officials briefed on the matter. Investigators suspect a faulty angle-of-attack reading led the doomed Lion Air jet's computer to believe it had stalled, prompting its anti-stall system, called MCAS, repeatedly to push the plane's nose down. Norwegian Air played down the significance of the compulsory light, saying that, according to Boeing, it would not have been able to prevent erroneous signals that Lion Air pilots received before their new 737 MAX plane crashed in October. Boeing must be cautious with how it characterizes the safety alert, risking legal claims by saying it could have made a difference in the crash while not wanting to suggest that the retrofit is meaningless, legal experts said. The Lion Air plane did not have the warning light installed, and Ethiopian Airlines did not immediately comment on whether its crashed plane had the alert. But the Ethiopian carrier, whose reputation along with Boeing's is at stake, issued a statement on Friday emphasizing the modernity of its safety and training systems, with more than $500 million invested in infrastructure in the past five years. The Ethiopian crash has set off one of the widest inquiries in aviation history and cast a shadow over the Boeing 737 MAX model intended to be a standard for decades. Boeing did not comment on the plan to make the safety feature standard, but separately said it was moving quickly to make software changes and expected the upgrade to be approved by the FAA in coming weeks. Experts said the change needs regulatory approval and could take weeks or months. Regulators in Europe and Canada have said they will conduct their own reviews of any new systems. Boeing shares have fallen 14 percent since the Ethiopian crash.